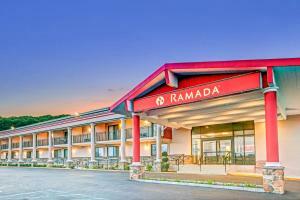 Minutes from the shopping and dining of Denville city centre in New Jersey, this hotel offers a free hot breakfast every morning and guestrooms with free high-speed internet access. Guestrooms offer a TV with cable and pay-per-view channels. A desk as well as tea and coffee facilities are also provided. Bathrooms feature a shower or bath and a hairdryer. Hampton Inn Denville-Parsippany Area features an indoor swimming pool and an on-site fitness center. Guests can buy a snack from the on-site convenience store, then relax beside the fireplace in the lobby. Guests at the Denville Hampton Inn can easily explore the Craigmeur Recreation Area or do some shopping at the Rockaway Townsquare Mall. The excitement of downtown Manhattan is 56 km away. When would you like to stay at Hampton Inn Denville-Parsippany Area ? This double room has a tea/coffee maker, air conditioning and flat-screen TV. This quadruple room features a microwave, air conditioning and tea/coffee maker. This double room features a flat-screen TV, tea/coffee maker and microwave. Each day we'll check prices and send you an email for your selected dates at Hampton Inn Denville-Parsippany Area. If you don't have specific dates but would like to check prices for say next weekend or say next month we can check the price too. Click to write a review and share your experience of Hampton Inn Denville-Parsippany Area with other travellers.